Are you interested in joining RAFT? Here is some general information you'll need to make your decision. RAFT is a very non-bureaucratic group. We can act fast and not get caught in red tape. Initial membership dues are $1800 for the first year. Each year after that they will be $1400. We offer Deep Discounts for all classes offered. Generally, you get your dues money back after the first few seminars. We have a set of Guiding Principles that are available below. As a RAFT member, you must agree with these principles. The RAFT Executive Board meets about four times a year to discuss issues surrounding the Association. Subcommittees meet more often, depending on the nature of the event taking place. There are no secret handshakes. We trust our members to pay and participate. If you are interested, you need only to send a Letter of Interest to us, stating that you have read the Guiding Principles (found below) and agree with them. We then invoice you for the initial dues. Members shall work towards excellence, not a minimum standard. Members shall pursue common goals amongst common agencies that seek similar results. Members shall share resources to avoid duplication and promote excellence and consistency on a regional basis. Members shall always pursue relevance and quality in training. 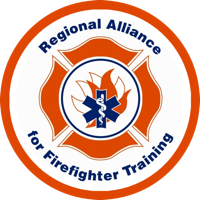 Members shall promote the standardization and expansion of fire science degrees in Southeastern Michigan to make them more applicable to entry, mid-level, and senior fire department members. Regional training centers will coordinate education and training programs with each other. Members shall develop a plan to educate city/township fathers as to the critical need for firefighting training and education. Members shall target special groups and organizations that could help to communicate the need for firefighting training programs to the various legislative bodies. Academician will handle the academics. Only organizations willing to accept high standards shall participate.